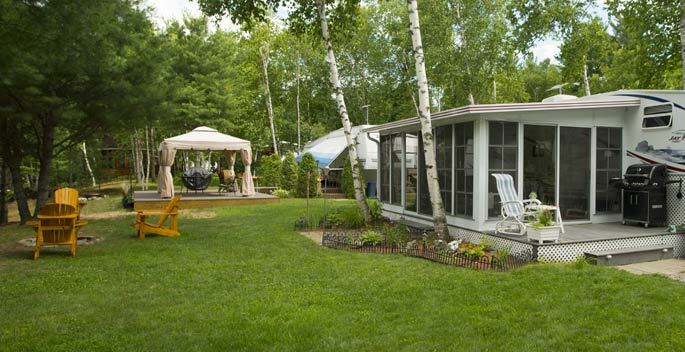 Our large deluxe campsites span from 5000 to 10 000 square feet. 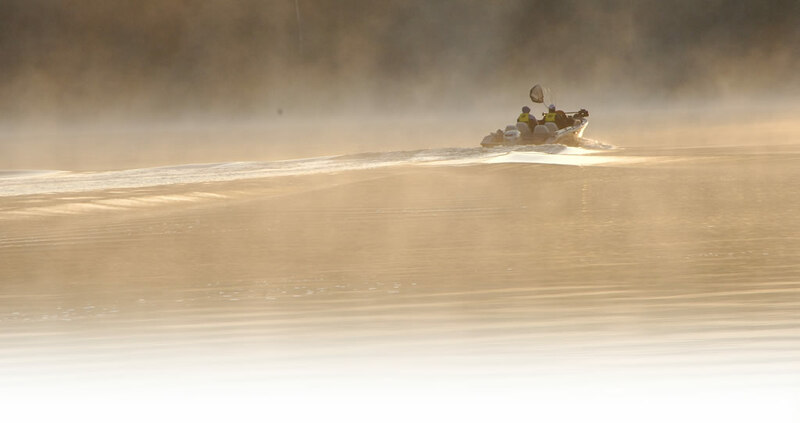 From your campsite access one of the biggest lakes in Quebec, the majestic Baskatong! 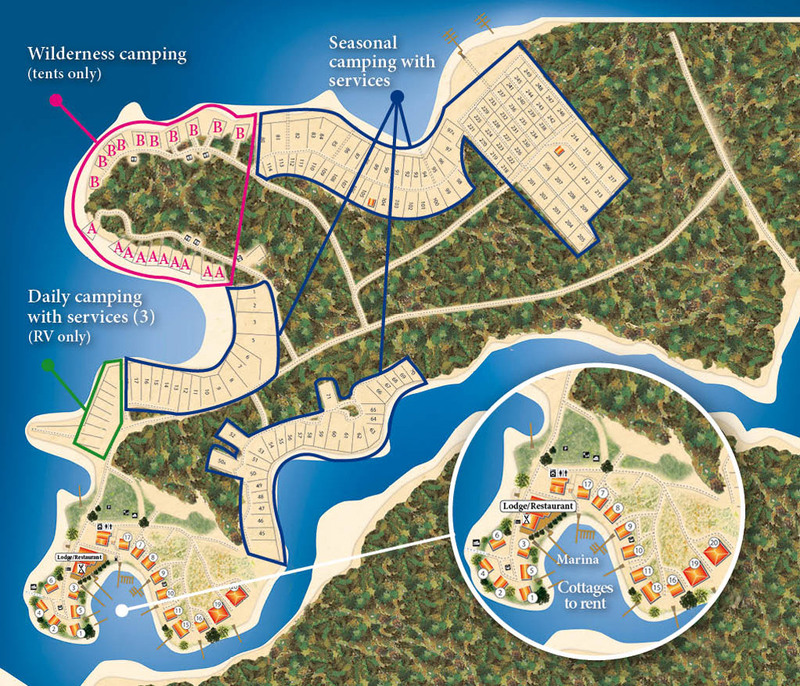 From May 15th to October 15th, more than 150 campsites, located on our shores, are awaiting your pleasure. 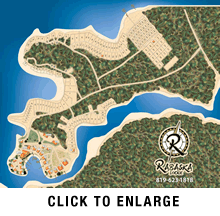 Reserve your campground for the summer and enjoy! A fully appointed sanitary bloc including toilets, washbasins and showers as well as a sewage disposal station. RESTAURANT: 7 days a week on the terrace and the dining room. Take-out available.